The course will take place at the Yorkville Conference Centre - 150 Bloor Street West, Suite 201, Toronto, Ontario M5S 2X9. 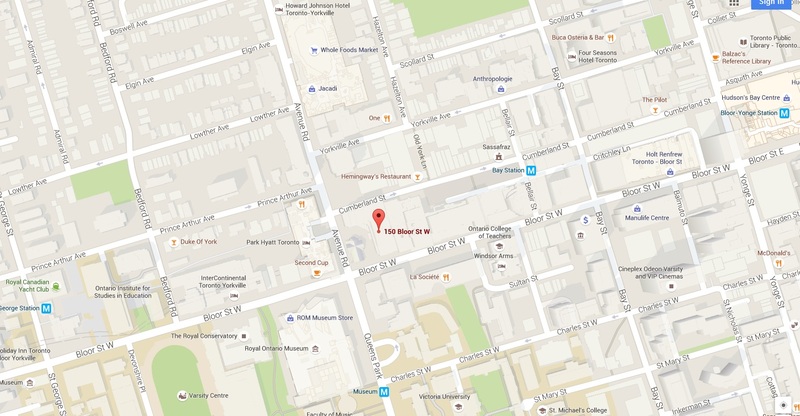 Conveniently located on the north east corner of Avenue Road and Bloor Street in the heart of downtown Toronto, the Yorkville Learning Centre features 8,000 square feet of premium meeting space. 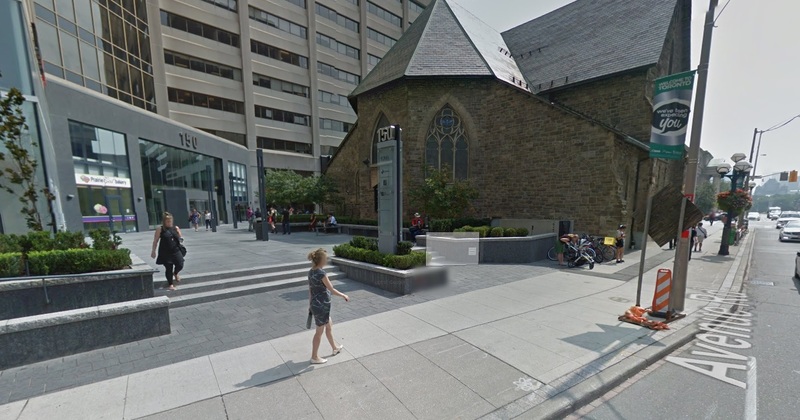 Enter the main doors to 150 Bloor Street West located behind the church on the corner. Proceed to the elevators. Exit on the 2nd Floor. Proceed to the Conference Center Signage and GOwen Environmental Limited. The St. George station to the West on Bloor, the Bay Street station to the East of the Yorkville Conference Center and the Yonge/Bloor Subway at that intersection or Yonge and Bloor. The Museum subway stop is located just south of the Conference Center next to the ROM on University avenue. Given these locations and the Yorkville Conference Center being centrally located on both the Yonge/University and Bloor Subway Lines - any Hotel in the City is a short subway ride to this Location. 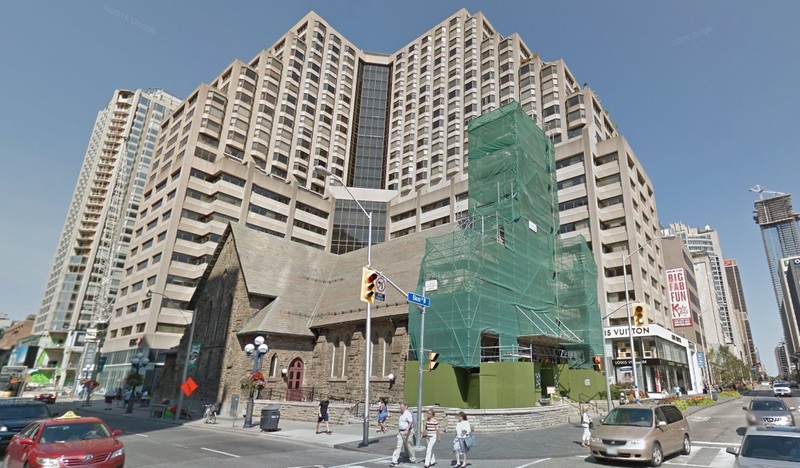 The entrance is directly behind the Church on the corner of Avenue and Bloor Street West. 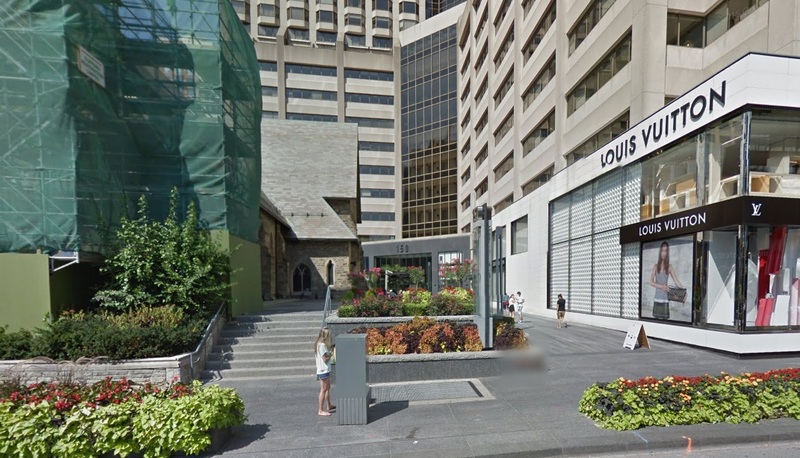 Enter through the double office glass building doors at 150 Bloor Street West either from Bloor Street or Avenue. 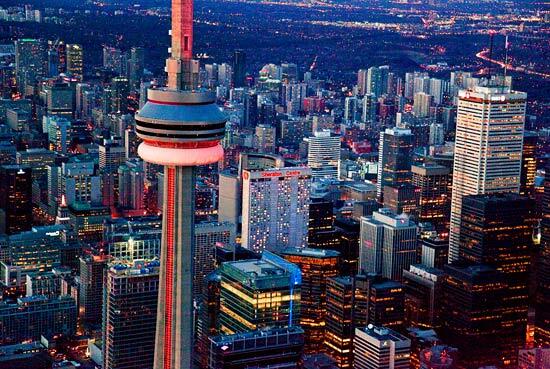 Why Visit The City of Toronto? Renowned historian Jane Jacobs called Toronto the "city that works". Situated 566 feet above sea level on the northern shore of Lake Ontario, Toronto is one of the southernmost cities in Canada. Rising majestically from the shores of Lake Ontario, Canada's financial hub is both a physical and emotional feast for the eyes. "Work" may remain nearest and dearest in Torontonians' hearts, but culture and entertainment abound in this civilized city. Toronto is the capital of world-class offerings: theatre, sports, shopping, museums and restaurants. They run the gamut from classic to avant-garde and reflect Toronto's celebrated multi-cultural heritage. Here, work inspires play, encouraging innovation and daring daydreams to come true. Visitors and Torontonians all gravitate to the centre of the city where the metropolitan life comes together with all the best the city has to offer. The area's multi-cultural flavour borders the finest Greek, Italian, Thai, and Chinese restaurants.